March was a hectic month. 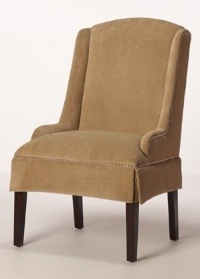 We were busy getting all the Easter orders out, but we also managed to roll out 5 new dining chairs. Two of the chairs were entirely new designs. The Columbia Chair introduces a broad shouldered tufted back, while the Jackson Dining Chair features an all new short, pleated skirt. Both styles are really unique and are probably something that you won't see every day. We also made some modifications to existing styles. Most of these were brought about by customer request, so please keep letting us know what you want. These three chairs offer new variations on existing styles. 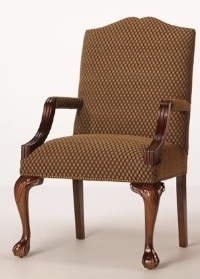 The Westminster King Chair adds nailhead trim, the split camel back and ball-and-claw legs to our traditional king chair offering. 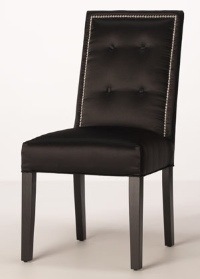 The Norwalk Parsons Wing Chair takes our hot selling Greenwich Chair and adds a nailhead option. 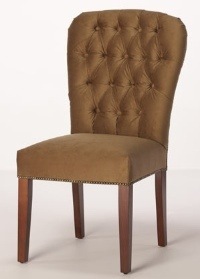 Finally, the Hudson Dining Chair is a variation of our Button Back Dining Chair adding inset nailhead trim on the back. I always point this out in my blog posts, but I can't do enough to emphasize that our goal is to give you choice. While there is no way that we can ever put up every combination possible, but you do have the power to make change. 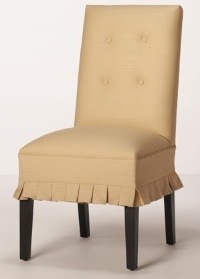 If see a chair that you love, but would rather have it with nailhead trim--just call and ask. If you would rather have a camel back on a style rather than a rolled back it can be done. We may not be able to offer these options online, but we're just a phone call away and we'll be more than happy to help you get exactly what you want.